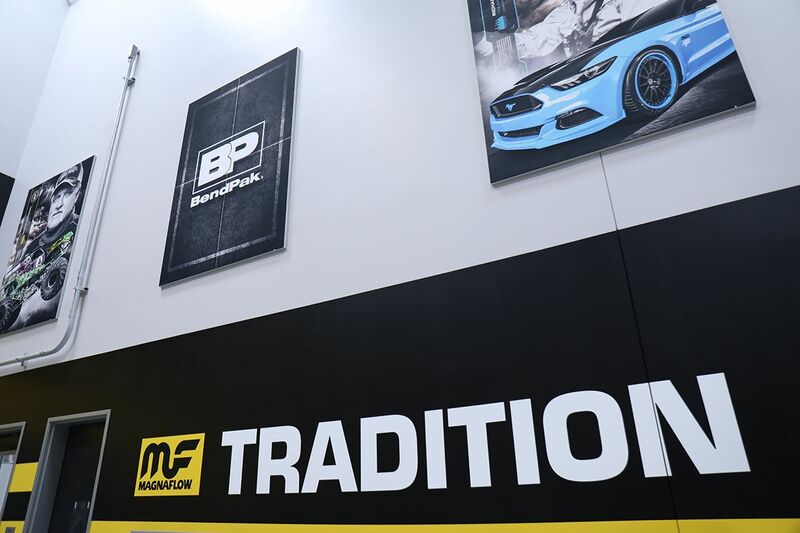 BendPak and Magnaflow have been working together for years. So, what better time to beef up their equipment than early 2017 when our brand new Gunmetal Gray ​auto lift color was unveiled? They were probably the first professional shop to have the new lifts installed, and the end result looks fantastic. Magnaflow is renowned for its premium exhaust systems. Famous for delivering pristine sound and unmatched power, their vehicle exhaust systems are used by daily drivers and racers alike. 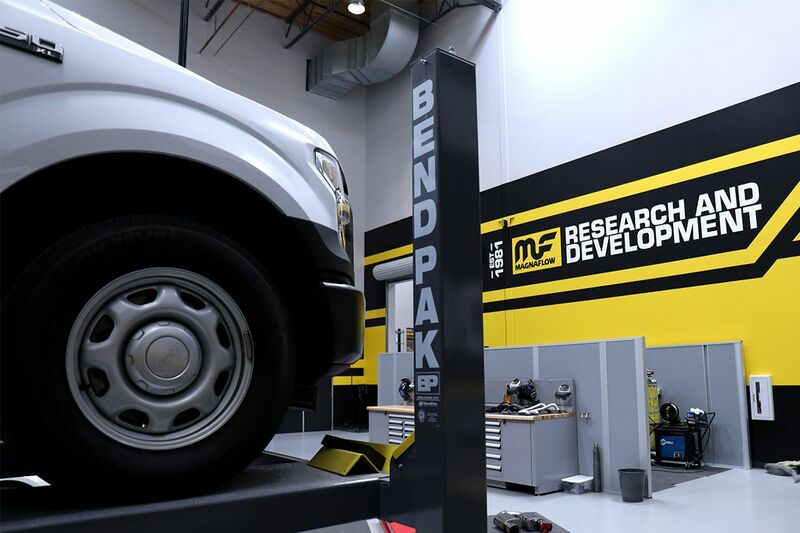 In the Magnaflow shop, more than one BendPak lift graces the garage floor. 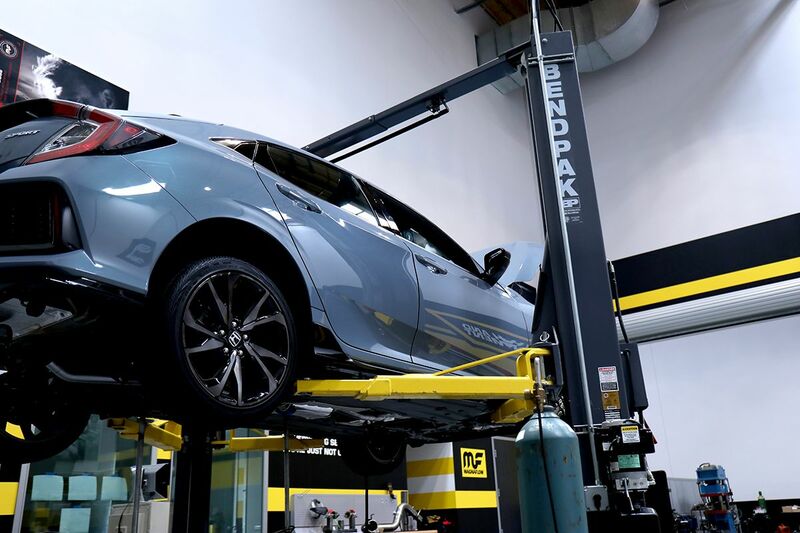 A two-post lift is important because exhaust systems are not very easy to work on without some height. It’s downright ridiculous to even try! Exhaust/performance specialists like the guys at Magnaflow can potentially earn a lot of money if they always have fast, easy access to the bottom of the vehicle. To truly complete their fleet, Magnaflow added a four-post lift. 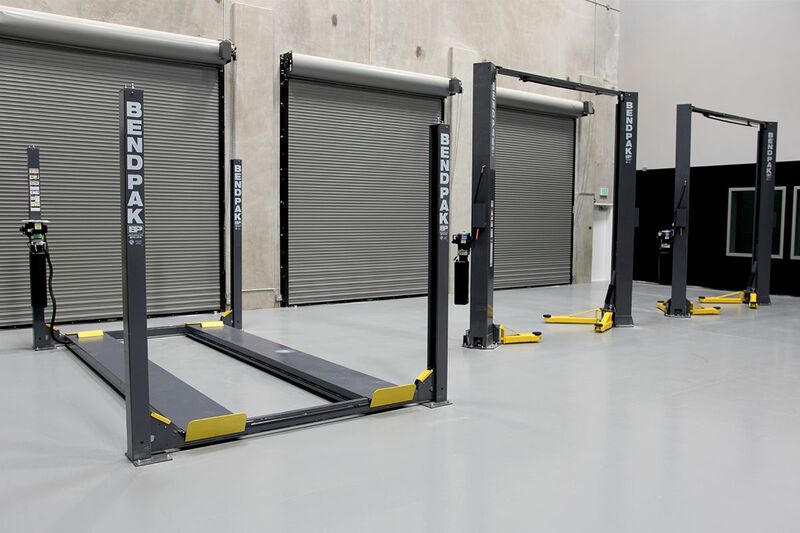 They know a wheel-engaging lift is great for vehicle storage (full-service shops should also consider alignment lifts). Magnaflow makes some of the highest quality and best-sounding performance mufflers money can buy. They offer just about every kind of muffler you could want, all top-notch construction and sure to stir your soul. Magnaflow is staffed by experts in motorcycle parts as well, so you can get the same, sweet sounds from your bike as you get from your car. We’re also experts in the automotive aftermarket, and we’ve tried installing exhaust systems and mufflers on vehicles with and without a car lift. We can tell you one thing: it’s better with a lift. These guys are serious about performance and know how to help you get more out of your toys. 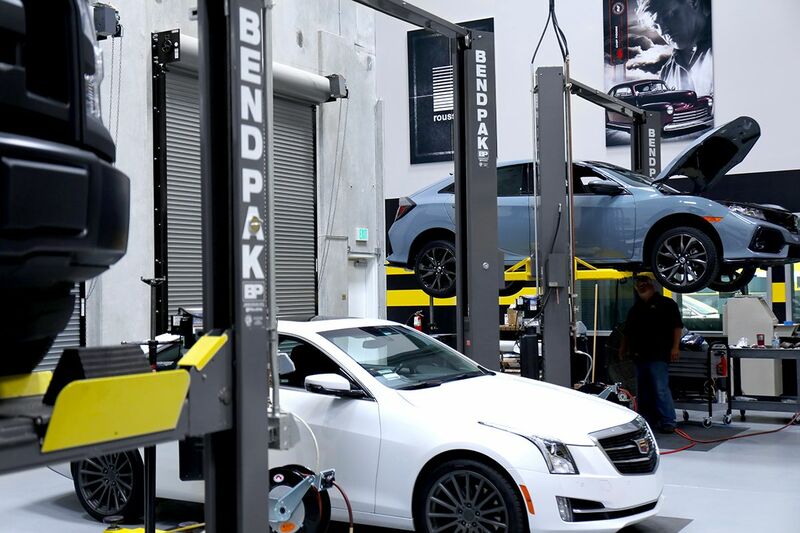 They only choose BendPak when they need to add an auto lift to their already-impressive fleet, and we hope that tells you something about how selective they are when it comes to quality.